Travel day today to Berlin, Germany. My camera battery died, so I only got a couple photos of the train journey, this being the least blured. 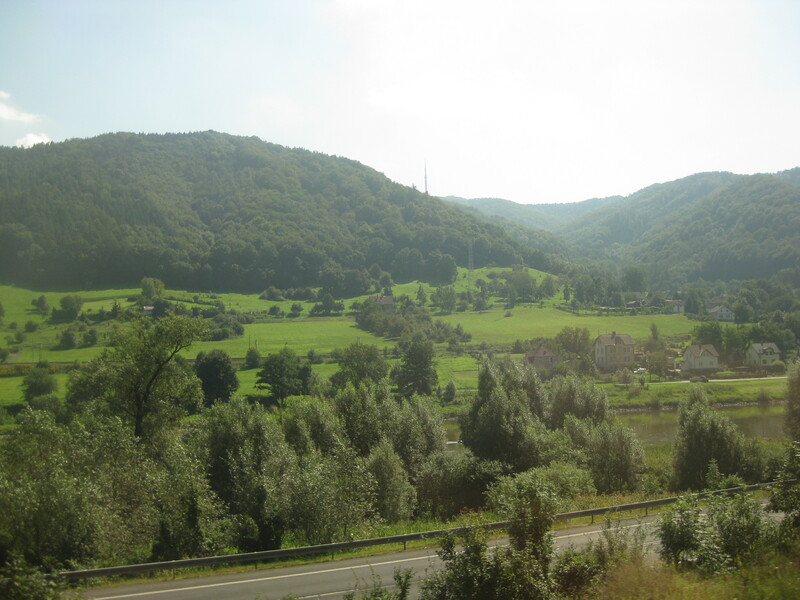 The train ride from Prague to Berlin was a very trip, full of very lush (in the actual term) fields, and a couple of castles, and towns on hillsides! Berlin is our last top of the trip before we get the plane home on the 5th!